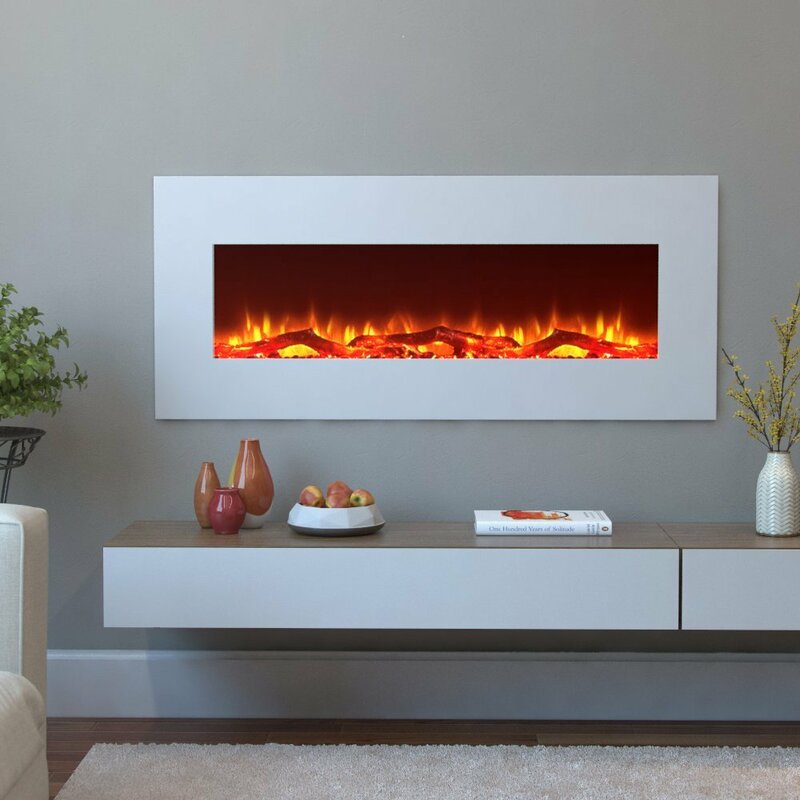 Today, the use of electric fireplace is much more comfortable and valuable than a conventional one. Tons of benefits are fulfilling the electric fireplace. 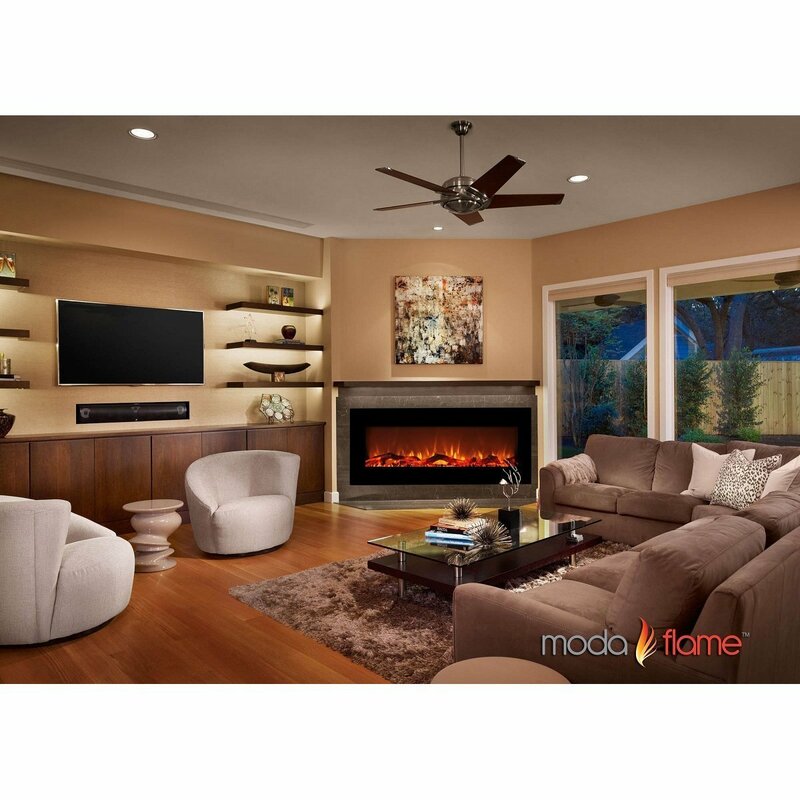 One of the most considered product is Moda Flame Houston 50″ electric fireplace. It is a product of electrical fireplace that compete with the other brand and the types on the market. However, the features and the advantages from this stuff are always help the people to pick this product as a solution. 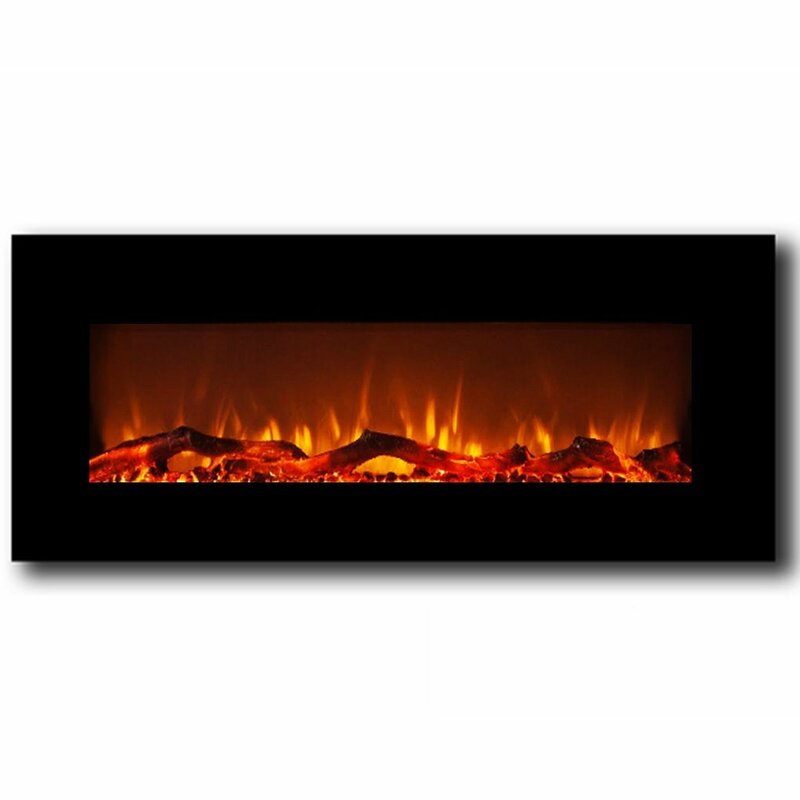 It offers a special type of fireplace that is not available in the other products. 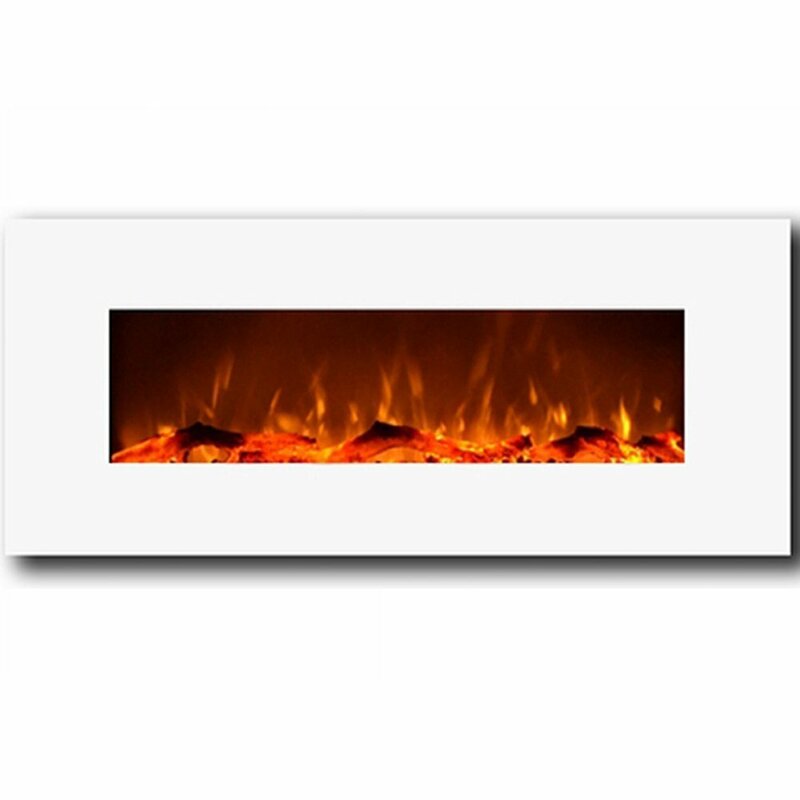 For you who want the practical version of fireplace, this item is a good thing to apply. You must be hate smoke to use this electrical fireplace. With the electrical system, it will need no vents and even major changes toward your home room. It is equipped with some heater system that is divided into 3 settings. You can pick high, low and no heat. When no heat is chosen, you will only get the flame effect as the visual attraction. You can apply it to the wall using the available mount. No wall changes are needed. It is also good because it will not need unique material such as ethanol, gas, and chimney and so on. All you need to do is just to prepare the space for hanging, control it using the remote and enjoy the heat. It is also an advantage to have the timer that can be set up to 7.5 hours with auto shut off. IT is a feature that will prevent the incidental or spontaneous usage of the fireplace. However, in the purchasing unit, you will find some cons as well such as the absence of the remote battery, the design and appearance which does not blend well to the wall. It will look like a strange wall hanging that produces heat. Although it looks pretty unique and strange, you can make the room area to fits the presence of this electrical fireplace. With the proper work of the room atmosphere, you will be available to maximize the result of the heat properly. You will so enjoy a room which is very neat and comfortable. The presence of the fireplace will also give you spacious look, especially when you pair it with some deep themed home accessories. 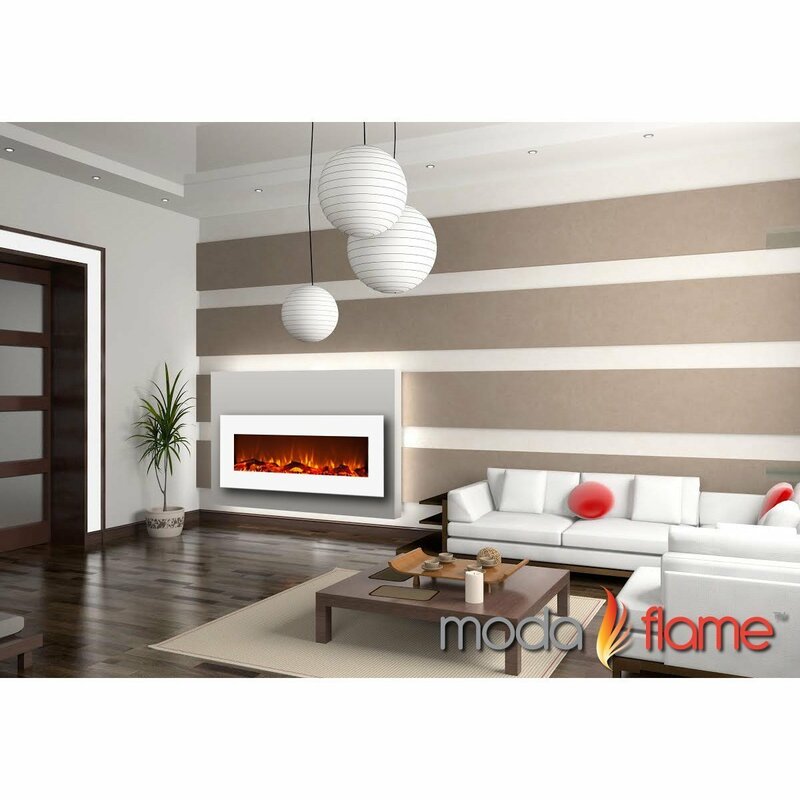 All the features of Moda Flame Houston 50″ electric fireplace are dreamed by so many homeowners that are a reason for you to buy.